Participate in hands-on Kata training to gain a deep understanding of how you can experiment your way forward instead of having to decide your way forward. Attend a Kata in the Classroom session during AME San Diego. Can't wait to learn more? 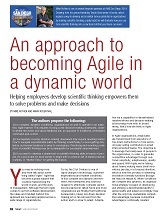 Read An approach to becoming Agile in a dynamic world. This article by Mike Rother and Mark Rosenthal was recently published in AME's Target magazine. Researcher and author Mike Rother will run a hands-on exercise that introduces the scientific-thinking pattern of the Improvement Kata. After this session, you will be able to run and use the exercise yourself. Scientific thinking is a basis for creativity and successfully pursuing seemingly unattainable goals. The Improvement Kata (IK) is a four-step scientific striving pattern that is practiced in many business organizations. It makes scientific thinking a teachable skill anyone can learn. The Kata in the Classroom exercise (KiC) has participants go through each step of the Improvement Kata pattern in a hands-on activity. Participants work in teams on a number of self-generated iterations to complete a small puzzle. 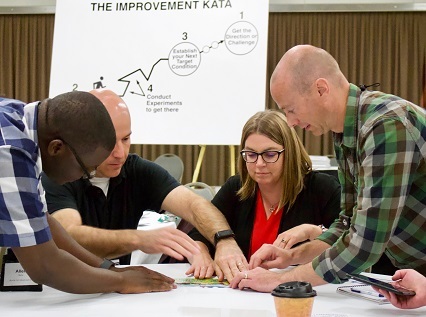 Participants follow the Improvement Kata pattern to (1) face a challenge, (2) measure where they are, (3) establish a next goal and (4) experiment toward that goal in three-minute rounds. These 90-minute sessions are offered at no cost, but you must sign up in advance because space is limited. Initially, attendance will be limited to no more than three people from the same company; however, if space is available closer to the conference we will remove that restriction. Mike Rother is an engineer, a researcher, teacher and speaker on the subjects of management, leadership, improvement, adaptiveness, and change in human organizations. He has been a member of the Industrial Technology Institute (Ann Arbor), the University of Michigan College of Engineering, the Fraunhofer Institute for Manufacturing Engineering and Automation (Stuttgart), and the Technical University Dortmund. 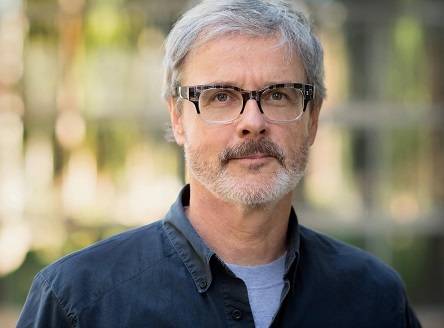 Mike Rother has been in hundreds of companies and is well-known for his book, "Toyota Kata," which explains a means for developing, activating and mobilizing human potential in a way that makes scientific working a daily habit. His previous book, "Learning to See," is known around the world as the standard explanation and user guide for value stream mapping. Visit the Toyota Kata website for more tools and resources. The ability to run the KiC exercise in your own organization. Deeper understanding of the scientific Improvement Kata pattern, through applying it yourself in a hands-on way. The KiC exercise can be shared with regional educators. It is being used in many schools.